It’s series of newest technology tanning lamps. Many years of experience allowed us to create a series of lamps that will satisfy even the most demanding customers. Now with optimized reflector and new phosphor mix. 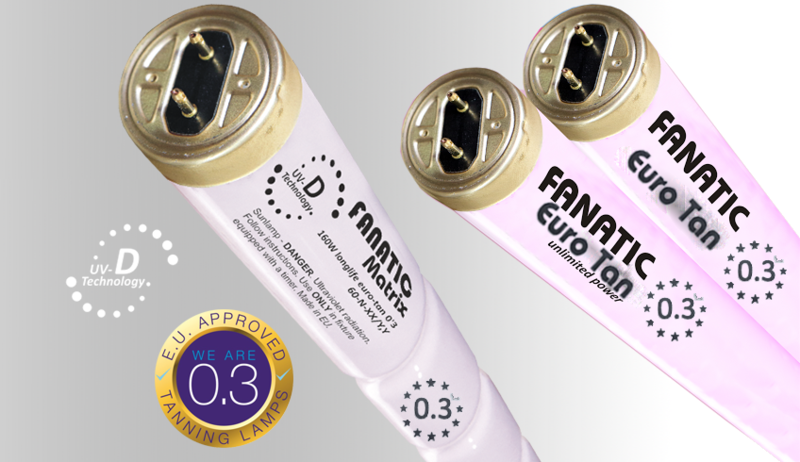 Wide range of 0.3 Compliant Tanning Lamps available to meet your salon requirements.